Below you fill find all funeral homes and cemeteries in or near Willow Grove. Willow Grove is also known as: Montgomery County / Willow Grove CDP. Zip codes in the city: 19090. Montgomery County funeral flowers can be purchased from one of the local funeral shops we partner with. Some of the notable people born here have been: (rusty fricke), (enolia mcmillan), (miles j. jones), (edwin hallowell), and (chris raab). 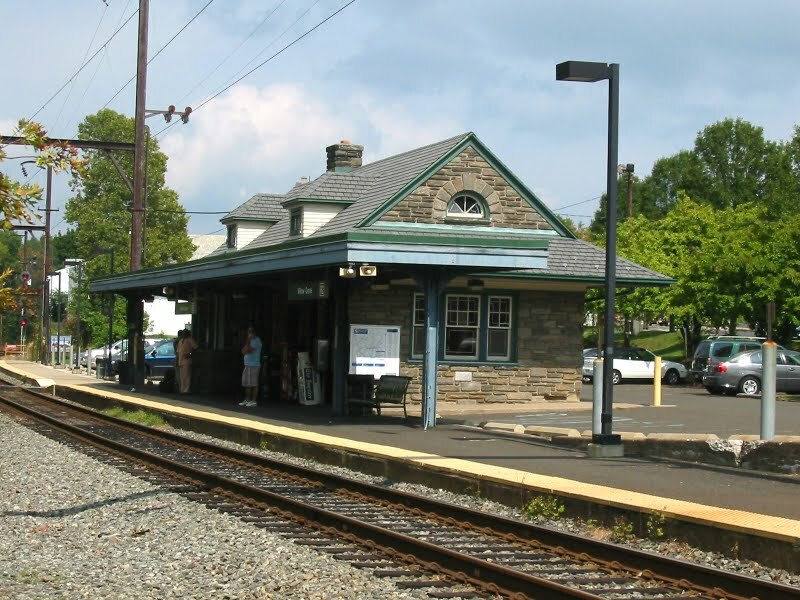 Willow Grove is a census-designated place (CDP) in Montgomery County, Pennsylvania. A community in Philadelphia's northern suburbs, the population was 15,726 at the 2010 census. It is located in Upper Dublin Township, Abington Township and Upper Moreland Township. Willow Grove was once known for Willow Grove Park, an amusement park that was open from 1896 to 1976, now the site of Willow Grove Park Mall.Naval Air Station Joint Reserve Base Willow Grove is located northwest of the Willow Grove CDP in Horsham Township. NAS JRB Willow Grove transitioned into Horsham Air National Guard Station in September 2011. It was written by Orlando Sentinel on November 26th, 2018 that Thomas Lee Martin died in Florida. Martin was 64 years old and was born in Willow Grove, PA. Send flowers to express your sorrow and honor Thomas Lee's life. It was written on September 5th, 2018 that William G Guzzon died in Willow Grove, Pennsylvania. Guzzon was 68 years old and was born in Brooklyn, NY. Send flowers to share your condolences and honor William G's life. It was reported on April 22nd, 2017 that Michael J Zaborowski perished in Willow Grove, Pennsylvania. Zaborowski was 64 years old. Send flowers to express your sorrow and honor Michael J's life. It was revealed on December 4th, 2016 that Timothy L "Tim" McNees perished in Willow Grove, Pennsylvania. McNees was 50 years old and was born in Kalamazoo, MI. Send flowers to express your sorrow and honor Timothy L "Tim"'s life. It was noted on May 25th, 2016 that Karl George "Kelly" Nice perished in Wytheville, Virginia. Nice was 90 years old and was born in Willow Grove, PA. Send flowers to express your sympathy and honor Karl George "Kelly"'s life. It was reported by The Phoenix on March 1st, 2015 that Thad Peenypacker perished in Willow Grove, Pennsylvania. Peenypacker was 47 years old. Send flowers to share your condolences and honor Thad's life. It was disclosed by Nanty Glo Journal on August 8th, 2013 that Delores E "Sis" Toth (Johns) passed away in Willow Grove, Pennsylvania. Ms. Toth was 80 years old. Send flowers to express your sympathy and honor Delores E "Sis"'s life. It was written by Johnstown Tribune-Democrat on August 2nd, 2013 that Delores E "Sis" Toth (Johns) died in Willow Grove, Pennsylvania. Ms. Toth was 80 years old. Send flowers to express your sympathy and honor Delores E "Sis"'s life. It was reported by Hazleton Standard-Speaker on February 26th, 2013 that Helen Ruth Gundling (Hertz) passed away in Willow Grove, Pennsylvania. Send flowers to express your sympathy and honor Helen Ruth's life. It was reported by The Times Herald on July 6th, 2012 that Mark A Fisher perished in Willow Grove, Pennsylvania. Fisher was 55 years old. Send flowers to share your condolences and honor Mark A's life. On Memorial Day, 1896 the Willow Grove Amusement Park was opened. The colonial farmstead slowly grew into a small rural community. The amusement park was one of the country's biggest until 1976, when it closed down in favor of the Willow Grove Park Mall, which opened in 1982. A band arrangement named Willow Grove has been composed, apparently named after the town. The original town center included a lumberyard, clothing store, bank, and post office. ARRANGEMENTS: Funeral service at Paul C. Rogers & Sons Family Funeral Home, 36 West Main St., Merrimac, will be Tuesday, Nov. 9, at 11 a.m., followed by burial in Locust Grove Cemetery ... Lawrence as a young child from Pennsylvania. Carl was born July 20, 1915, in Willow Grove, Pa., a son of William and Lilly (Meisner ... The Jacquelyn A. Buckheit Funeral Chapel, Crematory & Monuments, PC, 637 S. Main St., Mansfield, PA is assisting the family. Listing all funeral homes in Willow Grove, Pennsylvania so you can easily send flowers to any location (same day delivery) or find any funeral service. Listing all cemeteries in Willow Grove, Pennsylvania so you can easily send flowers to any location (same day delivery) or find any funeral service. We work with local florists and flower shops to offer same day delivery. You will find budget sympathy flowers in Willow Grove here. Our funeral flowers are cheap in price but not in value.